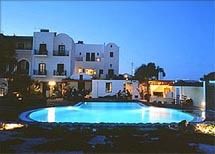 Hotel Kalimera is a small family-run hotel on the southern part of the island of Santorini. 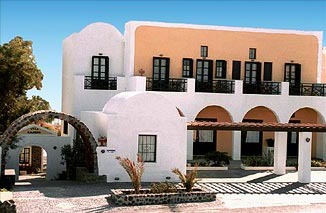 It is built close to the Caldera rim, at the outskirts of the village of Akrotiri which still retains its traditional character. South of the village of Akrotiri an important Bronze age settlement was discovered. It was the product of a highly developed civilization. The excavations at Akrotiri unearthed the famous \"Wall paintings of Santorini\", which were covered by volcanic ash and pumice from the last great eruption, (1625 BC), of the famous Santorini Volcano. 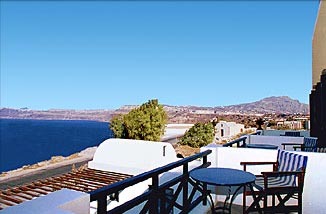 The Hotel Kalimera\'s outstanding location affords its guests a spectacular view of the Caldera in the northern direction. 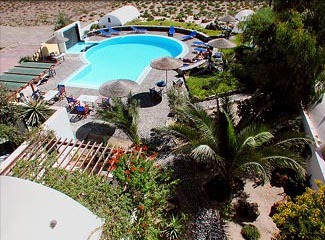 In the south there is a great view of the Aegean sea as well as the Akrotiri peninsula with its numerous bays. A beach at the Caldera rim is only a few minutes away. 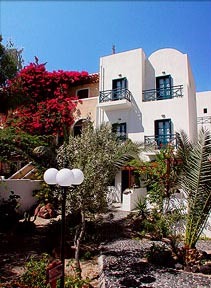 The hotel is characterized from the traditional style building, which includes a swimming pool, an open air courtyard and a lobby with satellite TV. 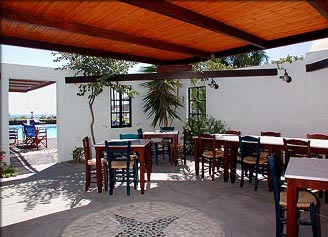 The garden and the furniture blends with architectural style of the building. 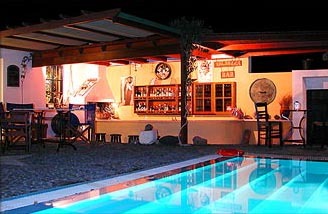 Combining the family and friendly atmosphere provide a very pleasant stay.